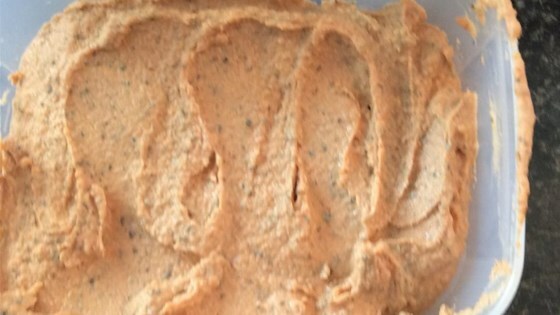 "So-easy-to-make homemade hummus. The kids love it, and it's healthy, too. Serve with veggies, pretzels, or whole-grain chips." Blend chickpeas, water, lime juice, garlic, and kosher salt in a food processor until the chickpeas are broken up, about 20 seconds. Add tahini, tomato paste, basil, and Parmesan cheese; blend again while streaming olive oil into the mixture until smooth, about 20 seconds more.